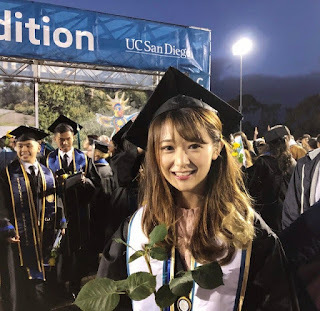 Good news came from AKB48 Team SH their member named Yuan Ruixi had just finished her study at the college level at the University of California, San Diego, United States. The Guangdong girl received a degree in the Bioengineering study program. Even more happy she has been accepted at 6 universities in the United States for her master's level. However, she rejected this and preferred her career in the AKB48 Team SH. Yuan Ruixi became one of the AKB48 GROUP members who have high academic achievements. She mastered three languages ​​fluently namely Mandarin (General and Cantonese), Japanese, and English. She will also be invited to a Chinese TV station in a program called 'The Brain'. The program is an event that is related to the level of intelligence or genius of a person.